Officers, non-coms, and certain enlisted specialists carry a Colt .45 pistol. Both Hanley and Saunders carry a Colt 45 handgun throughout Combat! (except where the script requires them to be without it). 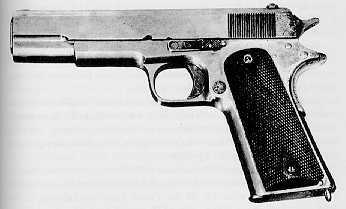 The standard side-arm of American soldiers from the early 1900s through Desert Storm, the Colt 45 (M1911 / M1911A1) is still the handgun choice of many soldiers. The effective range is about 50 yards. They are typically semi-automatics with a seven-round magazine plus one in the chamber. Authoritative source on the development of the world's most popular military pistol. Includes an illustrated description and analysis of all the variations, including rare factory models. A beautiful color section shows a wide selection of Colt M1911s. One hundred and ten pages of complete factory shipping records allow individual pistols to be researched by serial number! These records include all martial and thousands of commercial big frame Colt autos through the last Transition Government Model of 1924. A must for every enthusiast of Colts and military firearms. From the publishers of Gun Digest comes a comprehensive book on the most popular pistol in the world, the Model 1911. This complete guide to the Model 1911 covers maintenance, improvements and accessories to maximize the performance of this famous gun. Top semi-custom guns are tested and evaluated as this book compares each model and variation. The author also includes repair tips and information on buying a used 1911.  Unique weapons, issued as a badge of rank to general officers in the U.S. Army from WWII onward. Includes tables documenting serial numbers and dates of issue. Illustrated.